This hostel is just perfect, everything is clean, you have an amazing rooftop with a chill area, the staff is so so friendly and helpfull. The showers are really nice as well, you have a big tv in the lounge area where you can even watch netflix and relax. 10/10 recommend. 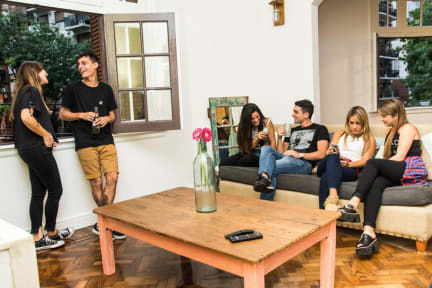 Very classy hostel located in the nicest neighbourhood of Buenos Aires. In Palermo you can find dozens of good restaurants and bars. Easy acces to the subway or other transportations. The hostel is a beautiful ancient building, spacious rooms, clean and big bathrooms. The owners are very helpful.